Located on Arlington Dr near the intersection of S Circle Dr and Monterey Rd, Extra Space Storage serves Colorado Springs residents near Southeast Colorado Springs. Locals will recognize our facility near Dollar Tree, Storyline Church, and Aspen Living Center. Extra Space Storage on Arlington Dr offers a large selection of storage units, heated storage, and vehicle storage, making us the ideal storage partner for you in Colorado Springs! 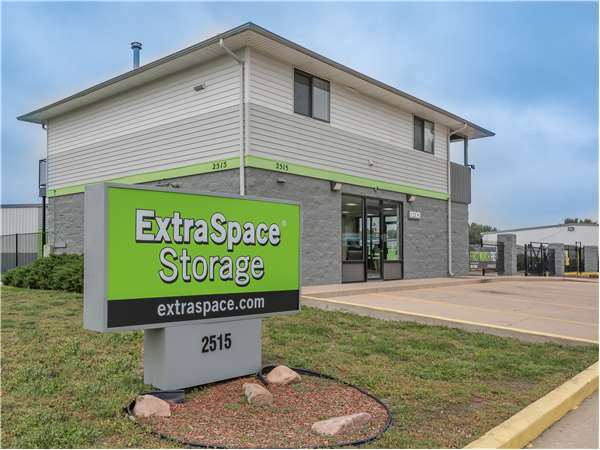 With everything from 3x4 storage lockers to large 20x25 drive-up units, our Colorado Springs storage facility has the perfect solution for your residential or commercial needs! Units also have convenient features like reduced height, heated storage, and drive-up access. We want our customers to feel confident storing their belongings with us. That's why our Arlington Dr storage facility has advanced security features like electronic gate access, an on-site resident manager, and 24-hour video surveillance. It's the peace of mind you want! Worried about storing temperature-sensitive items? With unit features like heated storage, your belongings will be protected from extreme cold. Heated storage units are available in sizes 5x10 to 10x20. Need secure vehicle storage in Colorado Springs? Extra Space Storage offers 13x25 and 13x50 outdoor parking spaces and 10x10 to 20x25 enclosed drive-up units that can handle vehicles from small cars and motorcycles to large boats, trailers, campers, and RVs. At Extra Space Storage, we understand the importance of reliable self storage. That's why we've made it our mission to provide high-quality storage with exceptional service. Our facility is always well-maintained, clean, and secure, and our friendly, professional staff is available to help with whatever you need. Contact us today to reserve a storage unit in Colorado Springs! Staff is super friendly they contacted me in a timely manner, alllwed me to see the unit before making the payment and showed me the best lock to keep my unit safe. Also explained why insurance is important on my unit. I needed a quick, affordable storage unit. I found the rep helpful and trustworthy. The staff at the CO Springs, Arlington location is very polite. Very interested on getting you in to the right size unit for your needs. I started with a larger unit and when I finally found my new place, they got me in to a smaller unit at less then half the cost with out hesitation. I am always recommending to friends and family in the area to go here for storage. Rates are also better then anyone's else's for what you get. The units are clean and well maintained. The employee helped me pick a unit that was the perfect size. Renting was easy and the process was explained in detail from moving in to moving out. Staff was great, very clean place and conveniently located for me. Extra Space Storage was very helpful and friendly in helping me find a storage unit to fit my needs. They also had a promotional special that made the deal that much better. I was able to find a storage unit to fit my large, pull-behind trailer. This is the second time ive been here. Ive never beed disappointed in the storage units or prices. Its a good storage space and would recommend it. Staff is very useful.?? My facility is well managed, and is kept very clean. The access is excellent, and there is plenty of room for vehicles to move around. I experienced a very friendly atmosphere, and very professional. Great, are very clean and staffed with the most qualitfied people to help you with all your needs. Would highly recommend this place to anyone with storage needs. Talk to Ginger or Brain. Friendly staff. Very clean facility with lots of storage choices. I highly recommend Brian and his facility. Great people to work with. Easy to move in. Complete security. Location is easy to find. Overall a great storage cpmpany. Brain at Extra Space at 2515 Arlington Dr is the best. After a complex issue he went above and beyond anything I expected to make sure my unit was safe. If you need storage you should go talk to Brain. This place is clean and has very reasonable prices after looking at several other companies. The staff is very conscientious and accommodating. Best In town rate and customer service. Awesome and helpfull staff. Convinient services hours. I'd like to take the time to commend the office manager Brian Levine, very friendly, and always communicates with me as a tenant, keeps me up to date on my account, as well as helping me out whenever I need a few extra days to make a payment. I appreciate all his help!!! The Extra Space Storage, where I store my belongings is clean. It has knowledgeable staff who are very friendly. They did their best to give me a good price and a unit that met my needs. very easy process and the store rep had all the information and was very friendly. Would recommend to anyone with storage needs. IF YOU ARE LOOKING FOR GOOD, CLEAN, SECURE LOCATION TO STORE YOU THINGS THIS IS THE PLACE. THE EMPLOYEES MAKE SURE YOU ARE TAKEN CARE OF AND YOUR THINGS ARE TAKEN CARE OF. THEY TAKE EVERY STEP TO MAKE SURE YOU HAVE ALL THAT YOU NEED. THEY ARE A BREATH OF FRESH AIR IN A STINK OF PEOPLE WHO JUST WANT YOUR MONEY AND DON'T CARE ABOUT YOU, YOUR THINGS OR WHAT IT IS THEY CAN DO TO HELP. Clean storage units, along with the customer service area. Helpful, upbeat, people friendly, personnel. Easy to maneuver around the lot. Great quality for a great price. Drive south on S Circle Dr. Cross Hwy 24 and continue straight. Turn left onto Arlington Dr. Turn right onto Rainier Dr. Our facility will be immediately on the left. Drive north on I-25. Take exit 183 and merge onto S Circle Dr. Pass McDonald’s and continue straight. Turn right onto Arlington Dr. Turn right onto Rainier Dr. Our facility will be immediately on the left. Drive west on US-24. Take the Fountain Blvd exit and merge onto E Fountain Blvd. Turn left onto S Circle Dr. Turn left onto Arlington Dr. Turn right onto Rainier Dr. Our facility will be immediately on the left. Drive east on I-25 S. Take exit 139 and continue onto US-24 E. Take the Union Blvd exit and turn right onto S Union Blvd. Turn left onto Monterey Rd. Turn left onto S Circle Dr. Turn right onto Arlington Dr. Turn right onto Rainier Dr. Our facility will be immediately on the left.